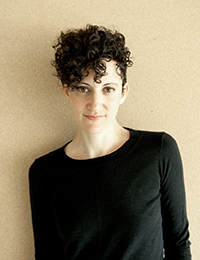 Gretchen Alterowitz, Associate Professor in the Department of Dance at UNC Charlotte, teaches ballet technique, dance history, and choreography. Her research addresses the social and cultural work of contemporary ballet choreography, performance, and pedagogy. Alterowitz’s recent articles appear in Conversations Across the Field of Dance Studies (2015), Dance Chronicle (2014), and The Journal of Dance Education (2014). Alterowitz choreographed the opera-ballet, Songs of the Fisherman, which had its American premiere at UNC Charlotte (2012) and its international premiere at the Grachtenfestival in Amsterdam (2013). Her piece, Holding Ground, was performed by the Atlanta Ballet in the company’s emerging choreographer series, Wabi Sabi, (2012 and 2014). Additionally, her choreography has been presented by the 11th Annual Women on the Way Festival (San Francisco); the Emerging Choreographers Showcase (Monterey, CA); and the North Carolina Dance Alliance Choreographers Showcase (Durham, NC). Alterowitz is also a member of AGA Collaborative, a trio of dance artists-scholars who collaborate to create experimental research and performance, with Alison Bory, Assistant Professor at Davidson College and Amanda Hamp, Assistant Professor at the University of New Mexico. To date, AGA has co-choreographed five dances, including one for students at Colby College. They have performed their work at a variety of venues including several colleges and universities in the U.S., The Dance Complex (Cambridge, MA), Spoke the Hub (Brooklyn), and Queens University (Belfast, Northern Ireland). Alterowitz regularly presents her scholarship at national and international conferences. She received an MFA from the Department of Dance at the University of Iowa.